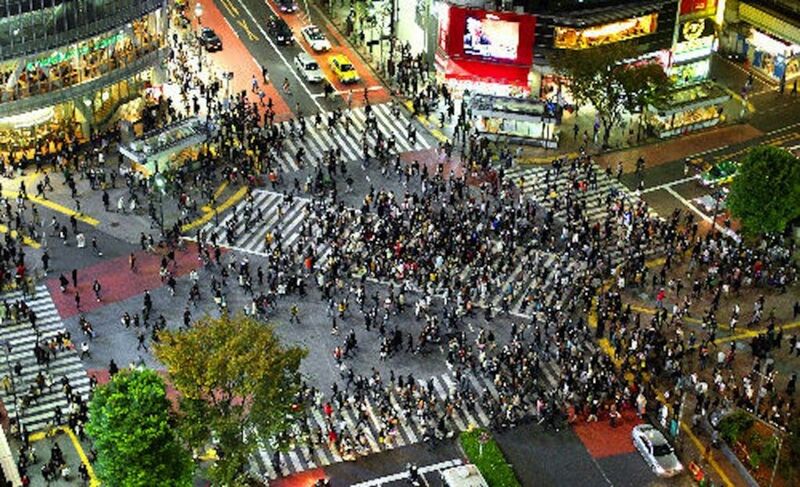 Shibuya – and the real Japan. Shopping, eating, culture and entertainment – in trendy Sangenjaya AND Shibuya. Your studio apartment is fully equipped and has a 24 hour convenience store below. Ideal for couples. Ikejiri - 3 minutes to Shibuya by train, 2 minutes to Sancha by train. 10 minute walk to Sancha. A real Japanese neighbourhood with great cafes and restaurants and soooo close to the big crowds of Shibuya. Your studio apartment is equipped with a small kitchen with refrigerator, hot water kettle, microwave and cooking supplies (great to warm up things and make easy meals when you don’t feel like tasting the local restaurants). The toilet and shower/bath is small, clean and typical Japanese size – equipped with hair dryer, soaps and shampoo. Air conditioner and heating unit is installed. We will provide you with a pocket-sized portable WiFi. This enables you to be connected to your smartphone or PC and makes getting around Tokyo that much easier. Ikejiri-Ohashi station on the Den-en-Toshi line is a 4 minute walk away – with many restaurants and coffee shops on the way. Trendy Daikanyama is also a close detour on the walk to Shibuya. Great for restaurants, bars and local foods! The Hanzomon/Den en Toshi line gets you easily around the city.